Fujitsu-Siemens LifeBook E8210 3G notebook computer is powered with Intel Centrino Duo Mobile Technology, and features widescreen 15.4-inch WSXGA+ LCD, dual pointing devices with touchpad and touchstick, supports Wireless LAN, Bluetooth, embedded UMTS, PC Card and ExpressCard technology. What 3G notebook mean is that LifeBook E8210 has built-in 3G data connectivity that allows you to connect to Internet. 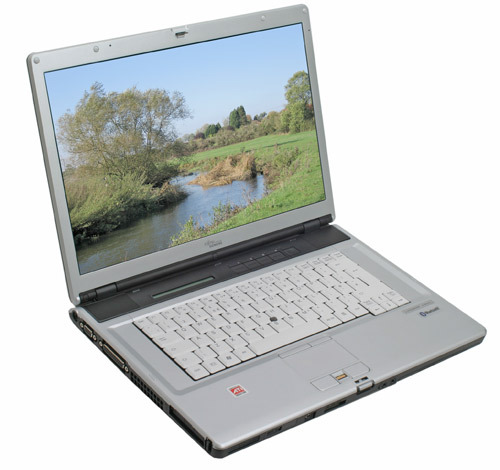 TrustedReviews reviewed Fujitsu LifeBook E8210 3G laptop, gave the overall ratings of 9 out of possible 10 and concluded that “Fujitsu-Siemens should be congratulated for producing the first notebook with an integrated 3G module. OK, so there are a lot of other manufacturers promising similar products, but there’s a lot to be said for actually having working, reviewable hardware rather than just a press release. But it’s not just the 3G functionality that makes the LifeBook E8210 a great notebook, it’s also got one of the best feature sets I’ve ever encountered, great build quality, excellent ergonomics and solid performance.